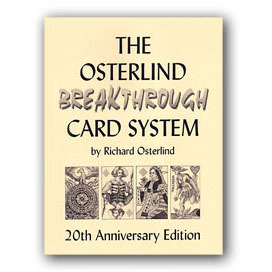 After almost three decades, the Osterlind Stainless Steel Blindfold gets a facelift! 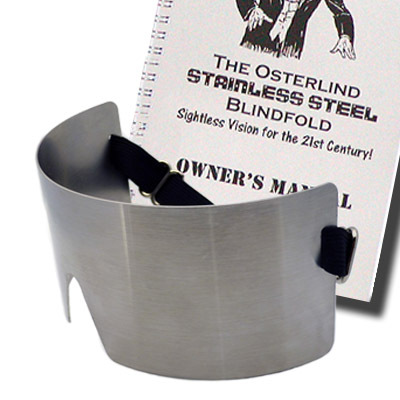 The Osterlind Stainless Steel Blindfold has been on the market since November, 1987. Its success has been so overwhelming that thousands of top professionals now feature it in their acts. 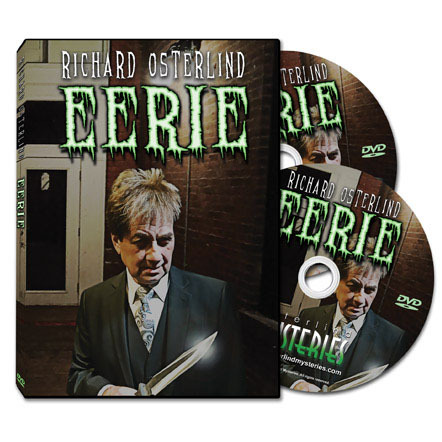 It has, in fact, become so much of a classic prop that many newer magicians don’t realize this was a new invention of Mr. Osterlind’s and not some standard, public domain, effect. 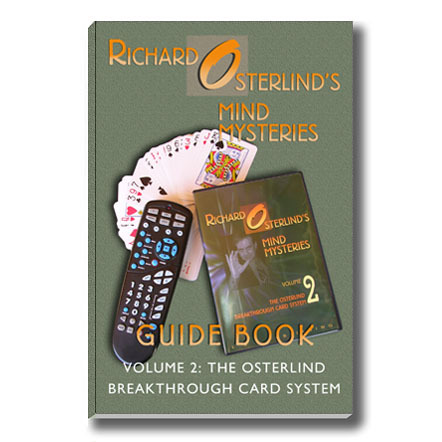 Over the years, Osterlind Mysteries has used a number of different companies to produce the blindfold, each time with some minor improvements, but the basic design has always remained unchanged. 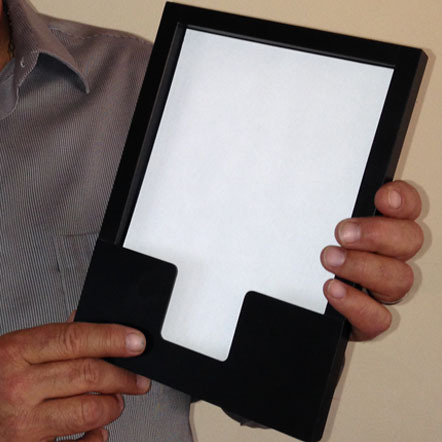 Now, in 2019, some 32 years after its invention, Richard has decided to update his classic invention to make it even better! After months of experimenting, Richard has trimmed away unnecessary material to make the blindfold more streamlined and compact without losing any of its performing impact. It still looks massive, but not overwhelming. Additionally, edges have been rounded off to give the prop a more finished look and to make it more comfortable to wear. The material is still a gleaming stainless steel and its method of operation remains the same, but now it packs smaller and is easier to put on and take off. 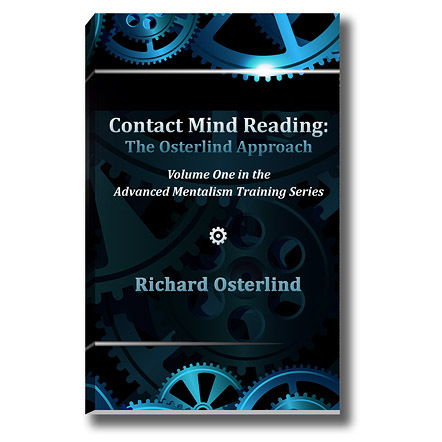 You'll also receive the Osterlind Stainless Steel Blindfold Owner's Manual, which not only contains the full workings of the blindfold but also has revolutionary ideas for it, some of which have never before been disclosed. Finally, if you use the new streamlined blindfold with our Dark Vision hood, the working is simplified! The new blindfold is tailor-made for blindfold car drives and other featured publicity effects! 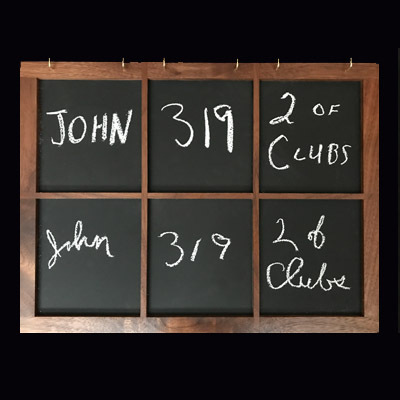 The future of blindfold work is here...once again!